Terrorists "will get through" the UK's defences to carry out an attack similar to that in Brussels, former home secretary Lord Reid has told the BBC. He said: "Politicians ought to be honest with the British people and tell them, 'This will happen.'" Four Britons were injured in explosions at an airport and metro station in Brussels on Tuesday; 34 people died. 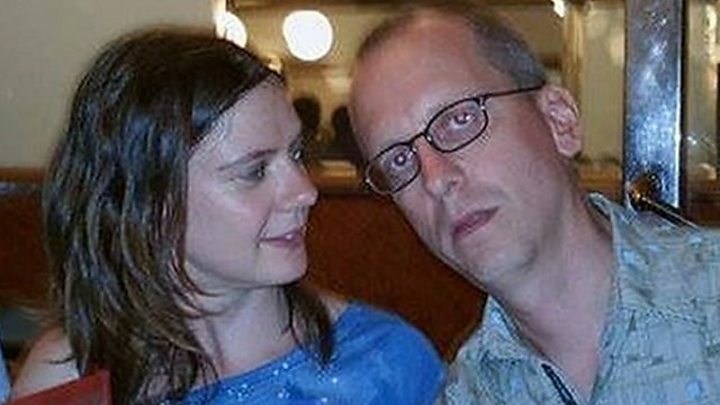 There are also fears for David Dixon, an IT programmer from Nottingham, who has not been seen since the attacks. Security has been stepped up at key sites across the UK, and on Wednesday morning David Cameron chaired a second emergency Cobra meeting in the wake of the events in Brussels. Afterwards, Number 10 said: "We are concerned about one missing British national and we are in close contact with the Belgian authorities. "We are aware of four British nationals who were injured in the attacks - three are being treated in hospital, one has already been discharged. Our embassy staff are working to assist all British nationals affected." At the start of Prime Minister's Questions, Mr Cameron told the Commons: "Britain and Belgium share the same values of liberty and democracy. "The terrorists want to destroy everything our two countries stand for, but we will not let them win." Home Secretary Theresa May is to make a statement to the Commons on the UK response after PMQs. The Queen, meanwhile, has sent a message of condolence on behalf of the UK to those affected by the "terrible series of events" in Brussels. Lord Reid, who was Labour home secretary until shortly before the 7 July 2005 bombings in London, told the BBC's Victoria Derbyshire programme: "It will happen here because the terrorists only have to get through once. "So you can quote the statistics on how many plots have been foiled, but the terrorists will get through." Lord Reid said terrorists were now more likely to focus on "soft targets" like the transport network and crowded public places, because the security services had been so successful at preventing "spectacular" plots, for example, mid-flight attacks on aircraft. Deputy assistant commissioner Neil Basu, from the UK Counter Terrorism Policing Network, said that shift was "a very dangerous phenomenon". But he insisted it was not a new one, and that police and security services in Britain had been preparing for such an incident since the Mumbai attacks in 2008. Twin blasts hit Zaventem airport at about 07:00 GMT on Tuesday. Another explosion at Maelbeek metro station near EU headquarters happened an hour later. Two of the men who carried out suicide attacks have been named by Belgian media as the brothers Khalid and Brahim el-Bakraoui. Belgian media, quoting judicial sources, had been reporting that a third man wanted by police, Najim Laachraoui, had been arrested, but those reports have now been withdrawn. So-called Islamic State (IS) said it was behind the attacks. Mr Dixon has lived in Brussels for 10 years with his partner and their young son, and travelled to work every day on the city's metro. He has not answered his phone or made contact since the explosions, and his partner Charlotte Sutcliffe has been driving from hospital to hospital in Brussels trying to find him. Her sister Marie Sutcliffe told BBC Radio 4's Today programme: "Not everybody has been identified yet of the injured so it's just waiting for that process to happen. "It's just waiting, which is heartbreaking and very worrying." Friend Simon Hartley-Jones said: "He's a lovely guy. He's an amazing man who deeply, deeply loves his son and we all want to find him." He said Mr Dixon, his partner and their son had been due to return to the UK this weekend to spend Easter with family. Specialist police from the UK have been sent to Brussels to help with the investigation. Security has also been increased at UK ports, airports and other transport hubs, and more Border Force officers deployed to carry out checks on people and vehicles arriving. The terror threat level has been at "severe" since August 2014, meaning an attack is highly likely. Meanwhile the Foreign Office is warning Britons travelling to Brussels to be "alert and vigilant and stay away from crowded places". An emergency number for those worried a relative may have been affected has also been issued - 020 7008 0000. Police in the UK have appealed for any British nationals who were in Brussels and may have images or footage of the incidents to come forward and assist the investigation. They have set up a website where images and videos can be uploaded. Brussels explosions: Why has Belgium's capital been attacked?